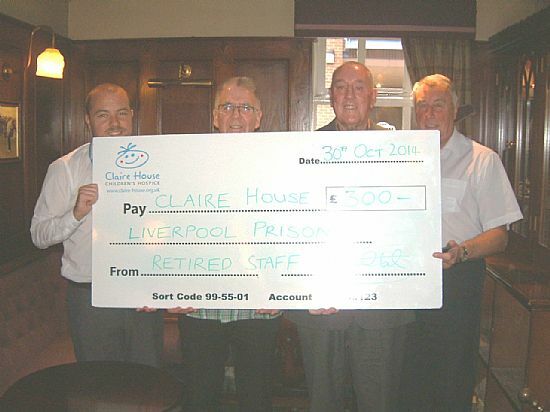 It has been decided to raise funds this year, 2014, for the Children's Hospice at Claire House, Clatterbridge, with raffle proceeds and donations from the 9th. Annual Reunion Night. We raised £150.00 on Friday, 26th. September, 2014, at the Annual Reunion. The Prison Service Charity Fund matched this figure. 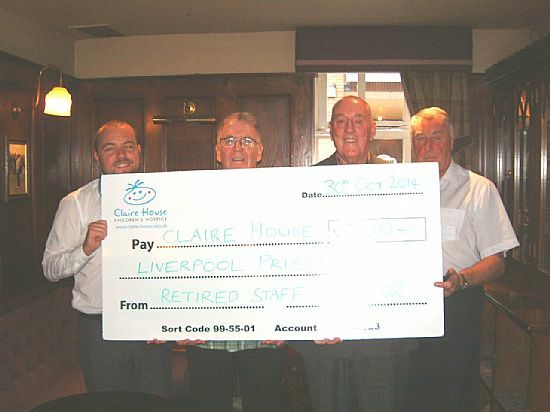 A cheque to the value of £300.00 was presented to Dan Halliday at the Masons Arms, Southport, on Thursday, 30th. October, 2014.